A good way to think about an assisting strategy is to start by coming up with a way to narrow your search. I have always been a fan of creating a list of 10, and then working that list before adding more to it. You will undoubtedly have the names of a few artists that you would love to assist. Start with them. Next, I suggest selecting a genre (category) that you are interested in working in. For instance; fashion, lifestyle, beauty, film or TV––and identifying the remaining artists in that category. You’re may be thinking “anything and anyone?” But truly, it’s important to be specific so that you can zero in on your target. It’s okay to accept jobs from artists who are outside of your genre goal––Think Shonda Rhimes The Year of Yes––however when it comes to planning and putting together your own list––be specific or the list will never end. If you want to gain some assisting experience, following are a list of actions that you should take right now. Step One. Flip through magazines and Pinterest and put post-it notes, or make notes on the work of the artists who inspire you to greater heights. Watch the credits on TV shows and films and comb sites like imdb.com to select the top 10 makeup, hair or fashion stylists artists who are working on the kinds of jobs that you hope to key someday. Step Two. Gather their contact information. Collect the phone numbers, email addresses and resume’s of the artists you are interested in working with. Step Three. Follow them on social media. Like the work they do that takes your breath away. . .occasionally, and make insightful comments from time to time. All of these actions are code words for ENGAGE. Step Five. Follow up with a phone call. One way to find key artists names is by reading the beauty and style credits in the seams of local and national magazines. Another is by searching Models.com where you can search magazines and ad campaigns online. Of course Instagram is the bomb.com when it comes to identifying artists, and lastly for TV and film, check out www.imdb.com. Every agency has an ASSISTANTS LIST and it’s up to the discretion of the booker/agent at the agency to decide whether your name goes on it. Whether or not you will work depends on your persistence (monthly) and your approach. Do not call the office and waste a bookers time with a bunch of um’s and uh’s. Be polite, straight forward and specific. Agents need to know what you want and they don’t have a lot of time. Practice your intro, and be direct. 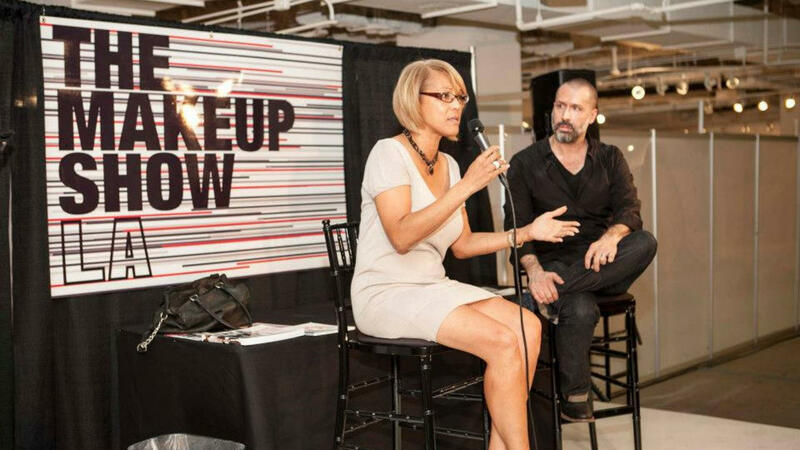 YES, you CAN be listed as a makeup artist with more than one agency. The more the better. If one agency says yes you can use it to leverage your way onto another assistant list, because if one agency trusts you then ‘we should to.’ You’re a free agent until the day you get signed. I suggested getting listed with several, and then being persistent with monthly check in calls, but don’t be a stalker. The thing about agencies is this; the squeaky wheel gets the grease. You can get a job as an assistant because you called on the right day at the right time. When a big job comes in for a makeup artist with a lot of extras or principals, agents scramble to find enough people to assist that artist/stylist. However, if you haven’t been calling to check in, you may––and probably will be forgotten––so KEEP IN TOUCH. Schedule a time to send your emails and make follow up phone calls. “Ugh! Not your favorite thing to do––I know. But worth it. My agency represented a makeup art by the name of Beth Carter. Beth stopped by the office one day while a photographer was there reviewing artists portfolios. I introduced them. They talked, exchanged business cards and he left. Beth turned to me and said, “So when should I reach out to him?” I told her to call him until she got an opportunity to work with him. After about the 1lth week, Beth received a phone call from a photographer she didn’t know. He was doing an editorial shoot for W magazine and needed a makeup artist. When Beth asked how he had found out about her, she learned that he had been referred to her, by the guy she had been calling for the past 11 weeks. The key to Winning is persistence, follow-up and follow through!